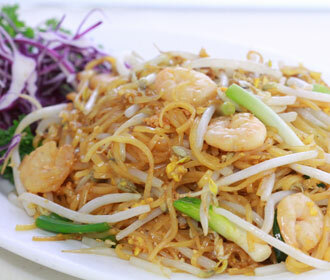 The Best Pad Thai Shrimp in Las Vegas is cooked at Kung Fu Thai & Chinese Restaurant. 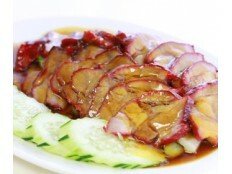 Without a doubt the most popular dish among Thai Culinary diners, and one of the National Dish to the Kingdom of Thailand. Pad Thai which was originally called Thai fried Noodles after this particular style of rice noodle was brought over to the Ancient Thai Capital of Ayuthaya by Vietnamese tradesmen and introduced to the Thai people, the rice noodle has since become one of the most eaten type of food besides the Steamed Rice. Pad Thai is made with coriander, tamarind juice, fish sauce, and a touch of Lime, which is then cooked with fresh eggs, crushed red chili peppers, bean sprouts, sprinkled with grounded peanuts, and salad shrimps. 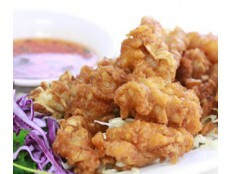 Although Pad Thai is meant to be cooked with shrimp, but patrons with a seafood allergy can order the best Pad Thai Chicken in Las Vegas or best Pad Thai Beef in Las Vegas, which is becoming a commonly ordered dish. Insider Tip: Due to popular demand, regular patrons like to add extra Shrimps to this noodle dish. 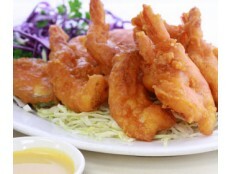 As more Shrimp is added, the Chef also throws in a little extra noodles as well as vegetables. An “Extra Kicker” adds a slightly little extra Shrimps. Choosing "Let it Ride" adds a level 2 additional amount of Shrimps. 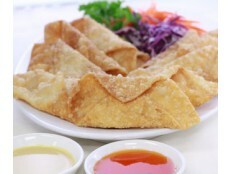 By opting for "Double Down" the Chef almost doubles the amount of Shrimps he puts in on a regular dish, as well as throwing in additional noodles and vegetables.